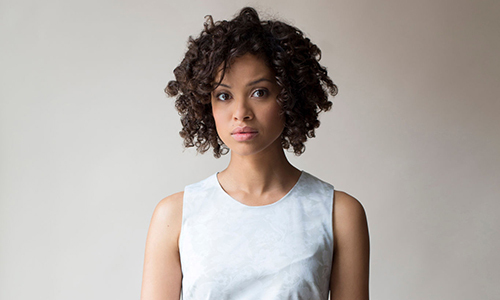 Born on 1983 in Oxford, Gugu Mbatha-Raw is an actress best known for her semi-regular role on the English series Spooks as well as the sci-fi series Doctor Who (series 3). Her first name is short for the Zulu word for Our Pride. The daughter of a South African doctor and a nurse, her parents separated when she was one. Growing up in Witney, Oxfordshire, she joined the local acting society. During her teens, she joined the Oxford Youth Music Theater, after which she won a scholarship to the Royal Academy of Dramatic Arts in London, graduating in 2004. She has played Juliet in the critically acclaimed Romeo and Juliet staging of the play at Manchester’s Royal Exchange. In 2006, she started bagging roles on television shows, starting with Walk Away and I Stumble as a regular, followed by minor roles on Bad Girls and Spooks, where she became regular during series 5. In 2007, Mbatha-Raw appeared in a minor role on Marple and Lost in Austen, followed by the lead on Bonekickers. In 2010, she bagged the role of the lead on the JJ Abrams series Undercovers on NBC. After the cancellation of Undercovers, she moved on to join the cast of FOX’s Touch as Clea Hopkins.